This raises the compelling historical question: how was (and is) technology involved in the (un)making of past and present challenges? 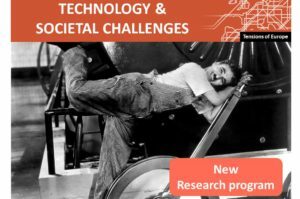 Tensions of Europe, as a community studying technology & transnational history, has the network and research experience to address this question. 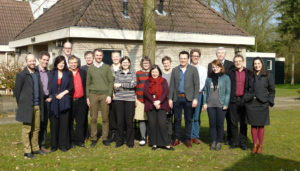 At a kick-off workshop in Vught, the Netherlands, in 2016 representatives from 13 partner institutions launched an explorative program. 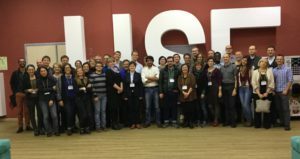 Working groups, grouped around relevant themes, set out to build a network of engaged scholars and a research agenda. This explorative program is to be followed by an in-depth research program. In September 2017 the program was discussed at the 8th ToE Conference in Athens, Greece. (*** new ***) The energy challenge in historical perspective. This theme list serves as starting point. 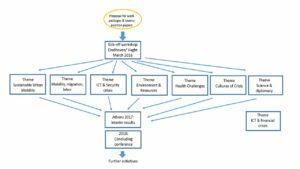 Scholars and institutions are invited to get involved and join developing theme groups or propose new themes. Contact Erik van der Vleuten (e.b.a.v.d.vleuten[at]tue.nl) for new working group proposals.